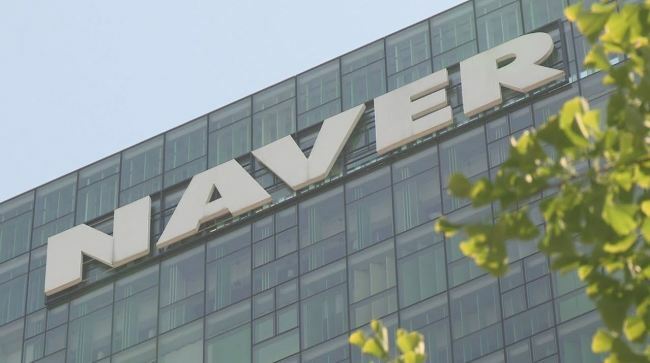 South Korea's top Internet portal operator Naver Corp. said Thursday that its profit dropped 17.4 percent in 2018 from a year earlier due to heavy outlays in new business sectors. Net profit reached 636.4 billion won ($568.9 million) last year, compared with 770.1 billion won tallied in the previous year, the company said in a regulatory filing. Operating income reached 942.5 billion won for the whole of 2018, marking a decrease of 20.1 percent from the year before. Sales totaled 5.59 trillion won, representing a 19.4 percent increase compared with the year before, Naver said. It marks the first time that annual sales topped the 5 trillion-won mark, but the company pushed forward aggressive investment in new businesses, such as artificial intelligence and autonomous driving technology. Naver spent 4.64 trillion won for operating expenses in 2018, up 32.7 percent from a year earlier. The company said it plans to decrease its investment this year but forecasts operating income to suffer losses down the road. "We currently do not have a plan for a massive amount of investment like last year," said Park Sang-jin, Naver's CFO during a conference call. "We also plan to efficiently carry out recruitment by hiring a small number of top quality manpower." For the fourth quarter of last year, sales soared 19.8 percent on-year to 1.52 trillion won. The company, however, said its net profit came to 132.5 billion won during the October-December period, sharply down 22.9 percent on-year from the same period last year. Revenue from its business platform surged 14.4 percent on-year to 658.5 billion won in the fourth quarter, helped by advertisements for Naver's shopping business, the company said. Naver said revenue from its platform business, including its messenger Line, increased 7.9 percent on-year to 565.3 billion won during the same period. Revenue from its advertisement business was up 3.1 percent on-year to 155.1 billion won in the fourth quarter, helped by new mobile products on the portal.